Review: There’s a certain formula that is expected from most dystopian YA. You know, one girl who happens to be a unique, special snowflake fights the dystopian government, powered by her heterosexual love. Extraction is no exception to this proud tradition, but does it slightly better. Extraction‘s feisty protagonist Clementine is one of the chosen few who is extracted from the desperation of life on the Surface and brought to the earth’s Core. The world is divided up into layers, literally, and the most oppressed are on the surface. The rich, safe and privileged live in the Core, far away from the moon’s toxic acid. When Clementine goes to the core, she excels in almost everything she does — powered by her wish to save her love Logan, who is still on the Surface. This is definitely a plot-driven book. The characters have little depth, but serve their purpose in propelling the plot forward. Many plot elements ring familiar: evil government! simulation tests! training montages! injections! I was reminded of both Divergent and Ender’s Game, but the writing in Extraction is much stronger. And unlike in Divergent (SPOILER ALERT? Sort of? )… the stock character of the cruel hot guy does NOT become the love interest, which was awesome. What sets Extraction apart from other dystopian YA is the twist ending. The end of Extraction lands the book firmly in science-fiction territory, and makes the entire book far more interesting. This, in addition to the better-than-average dystopian worldbuilding, is the strength of the book. 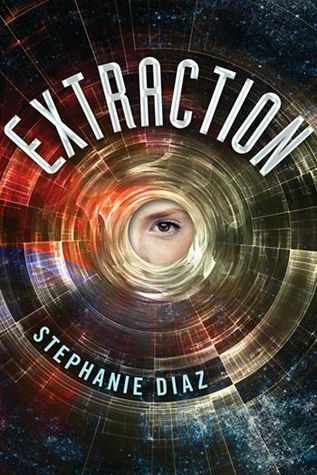 Extraction is a solid book as far as dystopian YA goes. While I wish the plot and characters were a bit stronger, the worldbuilding and plot twist at the end make it all worth it. I look forward to picking up the sequel, just to see how the new direction Extraction takes at the end will pan out. Recommendation: Borrow it someday, particularly if you’re a fan of dystopian YA!